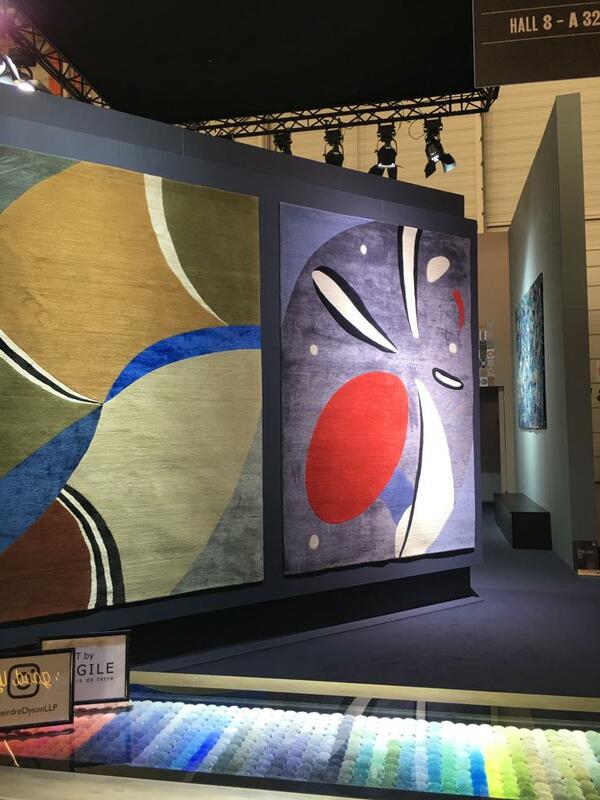 Deirdre’s new rug collection has received a wonderful reception at Maison & Objet Paris, where eight of nine new designs on display in Hall 8, stand A32 were showcased on a custom made, towering stand painted with Argile paint colours selected personally by Deirdre to complement each of the new carpet designs. 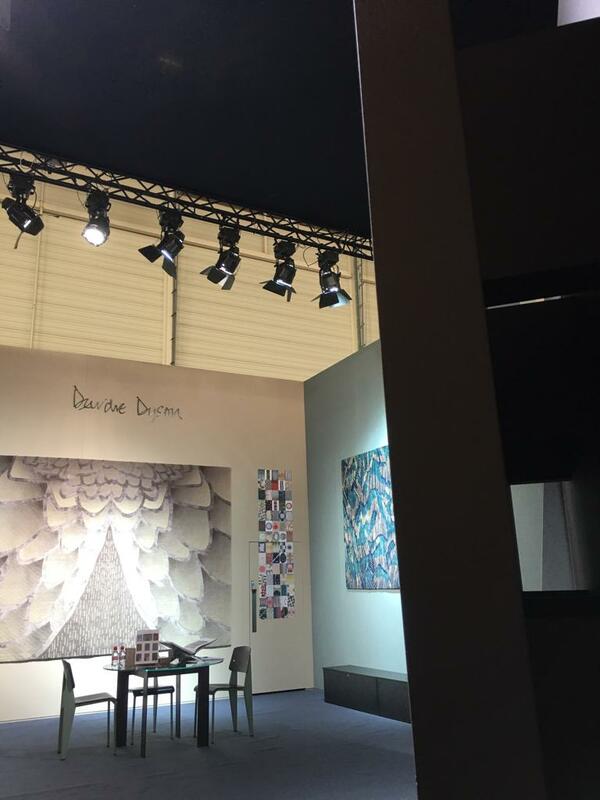 Deirdre relishes the opportunity to be on the stand at Maison meet clients and discuss the designs and their inspiration. Yet again Deirdre has pushed the boundaries of the art of hand knotting to create very distinctive designs using pops of colour (HARLEQUIN), intricate detail (PLUMES/FEATHER BOUND/QUILLS) or colour grading (GOLDEN PHEASANT, EAGLE) from the abstracted (MANDARIN) to the figurative (FLIGHT) creating a new collection that celebrates her instinctive eye for colour and cleverly plays with the shapes and forms of birds and their feathers to create unique designs. 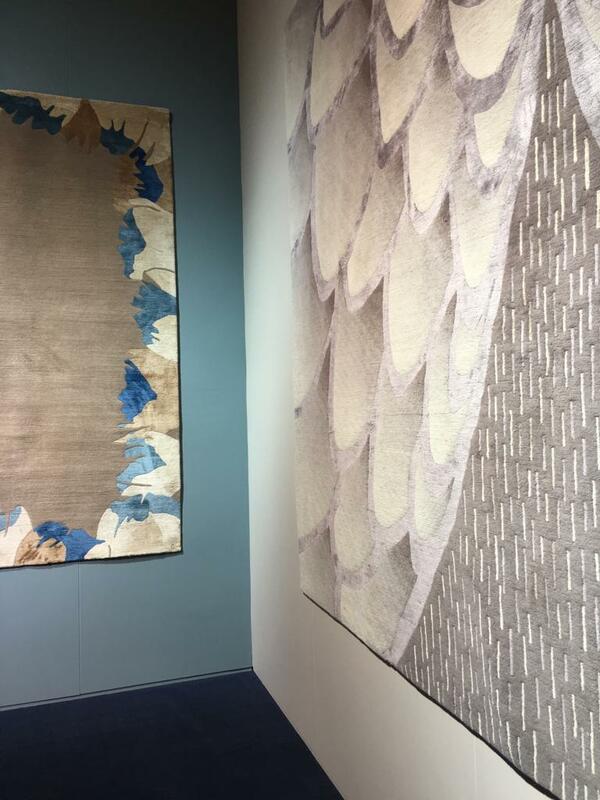 Each design uses varying amounts of silk to mirror the shimmering nature of bird’s plumage and Deirdre’s chosen colour palette is shot with vibrant hues that give the organic forms a 3D quality. Bordered rugs such as BURLESQUE and FEATHER BOUND are endlessly adaptable – for use under a dining table or bed whereas the bold Studio 54esque GOLDEN PHEASANT makes a statement all of its own as does the elegant scale of the exquisite EAGLE. 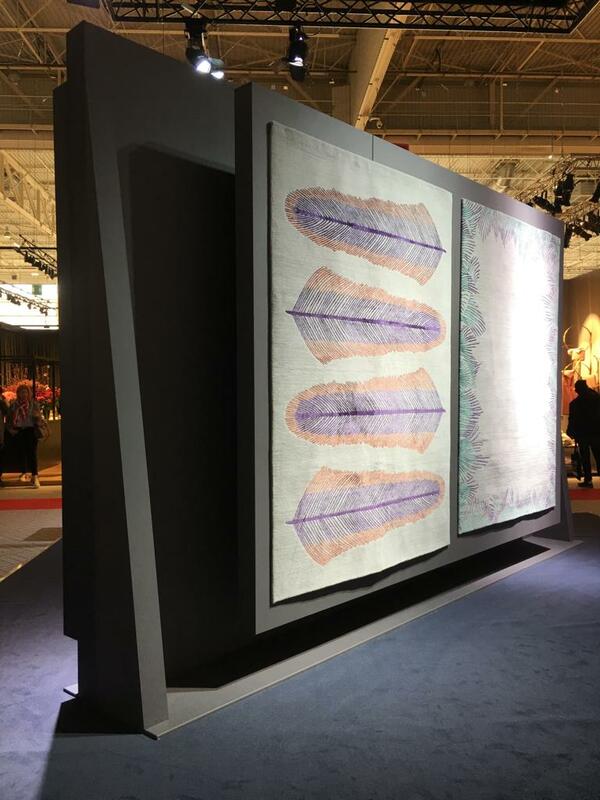 Last year’s HORIZONS Collection played with scale and Deirdre continues this trend with the largest carpet on display, EAGLE mirroring the wing span of its namesake, an impressive 3.4 metres wide. As with all Deirdre’s designs these sample carpets are just the start, each design can be created in any colourway or size required and most designs can also be gun tufted in 100% wool should the client or space require it.